'Souls Comprehensive Roleplay Guide | An in-depth guide to ideas, concepts, and other information related to roleplaying at 'Souls RPG! Hello and welcome to the ‘Souls Comprehensive Roleplay Guide! This guide is intended for past, present, and potential members of ‘Souls RPG, and most of the information you’ll find here is specific to our game. If for some reason, you’re here via another roleplaying game, you should check with your game administrator(s) before using this as resource.Whether you’re completely new to ‘Souls or a long-time veteran, this guide is here to walk players through all aspects of the game. It may be easiest for you to start roleplaying with a regular, non-Luperci wolf. 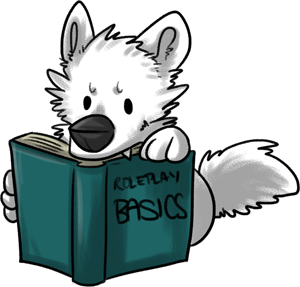 Start in the Roleplaying section: the Basics and Etiquette pages, especially. Then learn how to create a character. Finish with some canine essentials — Behavior and Joining. You’ll probably want to dive right into roleplaying a Luperci! Start in the Luperci section: the Basics and Physiology pages are a good place to start. Then check out the Lifestyle page to get a good idea of how Luperci act. Finish with the Post-Apocalypse page to get a handle on ‘Souls setting. You’re probably looking for some inspiration or realism resources! Start with the Species guide if you’re trying to plan a new character. Then head over to the Worldwide section for areas where your character can originate. Finish with the Realism section for skills inspiration! For the most part, the RP Guide’s pages are arranged from the least advanced to the most advanced (left to right, and then top to bottom) in the menu. Roleplaying is the most general section, first covering the basics of roleplay– and specifically, forum roleplay –then moving on to slightly more advanced topics like writing improvement. Character walks you through the various aspects of character creation, starting with core concepts like appearance and personality, then advancing into some rather ‘Souls-specific subjects, like playable species and their histories at ‘Souls. Behavior is an essential section for those new to wolf, or canine, roleplaying games. Even the most seasoned wolf roleplayer should review the section though, as there are areas that are ‘Souls-specific! 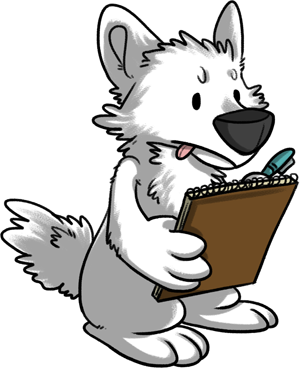 Luperci includes everything you need to know about ‘Souls’s werewolves and other werecanines, from the basics about their forms, to advanced size charts and possible lifestyles. And finally, ‘Soulsverse is the most advanced section of this Guide, covering many other ‘Souls-specific topics like speech across different species and the game’s supernatural elements. Various guides on advanced subjects like Luperci medicine and usable materials are included as part of the Realism section. Roleplayers are recommended to have a good working knowledge of roleplaying at ‘Souls before delving into this last section. It’s definitely not for beginners! If you have a question about anything in this RP Guide, please check the FAQ first! If your question isn’t addressed, you can ask in the Questions and Help forum. You may also be able to find the answers you need on the ‘Souls Wiki or Tumblr.